From Edith, starting to walk around again (after getting a new knee) north of Boston. Here’s Part II of my poll on writing retreats, with answers to my questions from authors Tiger Wiseman, Ramona DeFelice Long, Liz Milliron, and Holly Robinson – their bios are at the end of the post. Check out Part I for the purpose and feeling of a retreat, although of course there is overlap. What are your top five tips for what to bring? For work, only what you need. Before you leave, prioritize your projects and bring research, notes, etc. for those projects only, instead of every possible story on your dream list. Bringing too many projects can leave you feeling like a failure because you’ll never get to them all. Comfort items, like your favorite pillow, blanket, teddy bear, Christmas lights, a sound machine. A story idea or issue that can be discussed or brainstormed as a group. This is a real bonding experience. A journal. If you are a newbie, it may help to note what you brought that was a godsend and what you left behind that you longed for. If you have a meaningful experience, journaling it will keep it alive for you long after the retreat is over. A camera! I use my cell phone and love looking back at photos of my writing escape places. Anything you need to make your writing space comfortable (pillows, lap desk, favorite blend of tea, etc.). Something you can take notes on (cards or a phone app), preferably portable so if you decide to take a walk and inspiration strikes, you’re prepared. Materials for the WIP – me I never go without my MacBook air, which has everything I need on it, but if you write longhand make sure you have all your things. This sounds silly, but I once went on a retreat and a woman there had forgotten half her research materials. Snacks to power you through the day (our retreats are never lacking for food, but if you crave something bring it along). Comfortable clothes to write in. I am known in our Sisters in Crime chapter for my Cookie Monster pajama pants.When the pants come out, everyone knows I’m about to hunker down.Jeans are for socializing, but Cookie Monster is for writing! Chocolate & wine: yeah, I know those are two things, but they go together! E: I’m seeing a theme of snacks and comfort, there! And what I bring is no different. Comfy clothes and walking shoes (yes, and slippers). My smaller laptop, favorite pen, and paper notebook. Super easy meals. I don’t want to waste time cooking unless I’m with others. Wine and chocolate, of course. How long does it take you to get into the groove? What’s the optimal number of days to be away? T: I can get into my writing groove immediately. Optimal retreat is 4 to 7 days. Anything shorter and you don’t get enough written to feel successful; longer and you start to fret about things not getting done at home. . .and the dog. short side is 5 days, because that leaves you at least three full days to write. I have been away for two weeks and four weeks, and the first is too short and the last is too long. For long term I’d say the sweet spot is three weeks. L: I get into the groove pretty quickly – an hour, tops.l think this is because my limited writing time during the week has conditioned me to hit the ground running. I love weekend retreats. A day isn’t quite enough and I think I’d go a little bonkers after a week, but a weekend (Friday afternoon through Sunday morning) is perfect for me. H: I get into the groove pretty quickly, after setting up my stuff, unpacking, and taking a walk to clear my mind. Optimally, I love going for 3-5 days: intense 10-hour writing days. E: It takes me a few hours, usually. I have to get the space set up to my liking, poke around the kitchen, breathe some oxygen outside, and depending on long my drive was, take a walk – but even that is kickstarting my writing. If you’ve hosted a retreat, any comments about the experience? Selecting whom to invite? T: I’ve hosted several retreats in Vermont. I find that 3 to 5 writers (including host) is a good number since we share cooking duties. I often let one person invite whoever they want, their friends. I don’t think the choice of people is as important as making sure everyone understands and follows the rules: quiet times, chore division. Anyone can get along for 5 days, as long as they’re accomplishing what they came to do. Down time is very important. If you’re alone, you may push too hard; with others, you stop for dinner and–at my retreats–wine and conversation or games. Makes for a well-rounded, relaxing retreat. R: I have hosted. Once I rented the retreat house and invited a few people I thought might be available. Another time, I specifically invited people who’d been to a past retreat, as a reunion. A schedule that allows for private work all day and a dinner followed by group readings, brainstorming, discussion, or just chilling with wine is my favorite program. If there are workshops or any programming, those should be in the morning so the afternoon can be devoted to a long period of writing. L: if you are putting together a weekend and inviting people (as opposed to something like doing it as a chapter of an organization), look for people who are flexible. People who like being in groups and are willing to pitch in – not sit around and live off other people’s work. Nothing brings a group down faster than a constant complainer. And if your event is going to be open to a chapter and you know there’s a complainer, resolve that the person is not going to ruin the weekend for you. E: Morning workshops wouldn’t work for me. I need my morning creative time alone, and would rather hang with the group late afternoon and evening. Re-entry can be rough, too. as intensely as I do—that’s just three people to choose from—my favorite friend to take is one who knows when not to talk! Which is pretty much all day, unless we’re on an afternoon walk, or after the wine comes out after dinner and we share what we’ve been working on. E: Holly, I’m that kind of writer! Take me along next time, please? Tiger Wiseman is an aspiring mystery writer & confirmed foodie. She blogs at Pen, Spoon, and Dagger. Ramona DeFelice Long writes every morning at 7:00 a.m. in her home in Delaware. She is an independent editor specializing in crime fiction and an accomplished essayist and short story author. Twitter: @ramonadef. 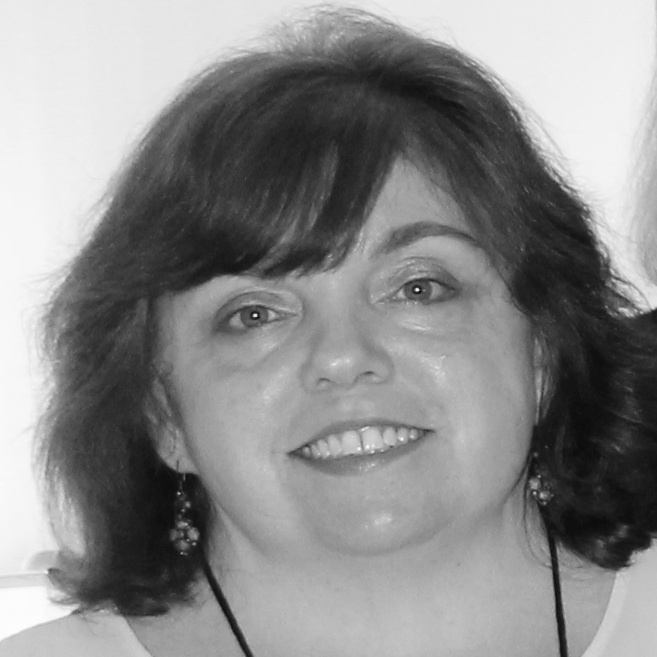 Liz Milliron writes The Laurel Highlands Mysteries. Her short fiction appears in Blood on the Bayou, Fish Out of Water, and Mystery Most Historical. Holly Robinson is a novelist, journalist, and celebrity ghost writer whose latest novel is Folly Cove. Visit her at her web site and on twitter @hollyrob1. Readers: Ask our retreatants questions – they’ll pop in and check throughout the day if they can. And be sure to check out their writing if you haven’t already. They are a talented bunch! Such a great post . Is it a coincidence that I was researching retreats before the sun came up this morning? I think not. Thanks for the information. Desperately in need of a few days away to write and this is the perfect inspiration. I left out snacks! Great post, Edith, and I loved everyone’s contributions. Retreats are my favorite writing activities. Why am I not on one now? Good question. I’m due to go on March 11 for a week. Hope I can drive by then! I’m looking forward to another summer of hosting retreats in Vermont. I’m always invigorated by spending th time with other writers. P.S. thanks for using the non-zombie picture. LOL. Please please please may I join you in Vermont?? I’m going at the end of July or start of August, Holly. Come then! Tiger – chips and wine! Oh, those are my kind of snacks. Plus, a little chocolate (okay a lot of chocolate). Excellent! Say the word and I’ll pack my bag (now I really need a passport). Thanks so much everyone for sharing your expertise today! Very interesting. Thanks for sharing your wisdom. With a teen, a typical man, and two dogs I long for a retreat, writer’s or otherwise, but I know I’d miss the chaos too much. The great thing about going away is that you know they’ll be there when you get back! Aimee, they were in the Men’s department at Target. Pajama pants. They had all sorts of patterns (Star Wars, The Simpson’s, etc. ), but it was several years ago. Not sure if they still have them. I was looking for something not-clingy to lounge in and the women’s pants all made me feel like I was being stuffed in a sausage casing (and I don’t consider myself a big woman). And I agree with Edith. I have a husband and now two teens at home. I love them dearly, but oh man – going away for a weekend is bliss! What a pleasure to hear about the way all of you retreat! Thanks for visiting today everyone! It was fun to gather this particular group and pick their brains about retreats!